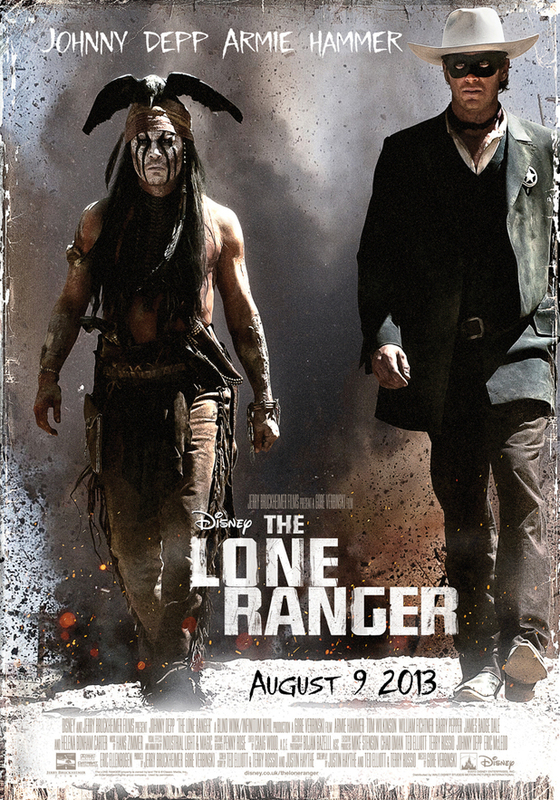 The Lone Ranger is probably unknown to most folk under thirty-five. It was a staple of your reviewer’s boyhood. The Masked Man and his trusty Redskin companion, Tonto, roamed the old Wild Weston his white horse, seeing off villains and setting wrongs to right. It began as a radio serial in the 1930s and was a popular TV series in the 1960s. It was a brave – possibly foolhardy – decision to do a reboot of the Lone Ranger given that its target audience is likely to be older than most regular picture-goers in that crucial 18-30 age group because the Disney version of the Lone Ranger is a world away from the lame scripts and creaky sets of the old TV show. Much of it was shot on location and it shows in the breathtaking cinematography and the director’s attention to detail in which he seems to channel the ghosts of John Ford and Sergei Leone. It’s difficult to understand why the movie performed so badly on its US release last month. Perhaps it was influenced by hostile reviews in the American press or the younger audience has no appetite for westerns. Perhaps many Americans perceived it’s message as anti-American. Who knows? It’s their loss. This is a wonderful mess of a movie. The script is fast moving and witty. Johnny Depp’s Tonto is no servile sidekick. He steers the bookish, naive and impetuous attorney John Reid (Armie Hammer) – shortly to become the ‘Lone Ranger’ – in the often vain hope that he won’t come to too much grief. In this fast-paced romp, the Masked Man runs into a deep-dyed bad-as-can-be spaghetti western villain, a dirty traitor who leaves him for dead, a virtuous woman in need of protection, a really crooked railway tycoon and a feisty one-legged brothel keeper played with great gusto by Helena Bonham Carter. And look out for those rabbits and his white ‘Spirit Horse’. Give it a chance. Hi Ho, Silver! Away and enjoy it, Kemosabe. Great movie. Yes, the so-called “reviewers” were able to influence the sheeple to ignore it. I would like to have a copy of the script – can any direct me to a possible source?